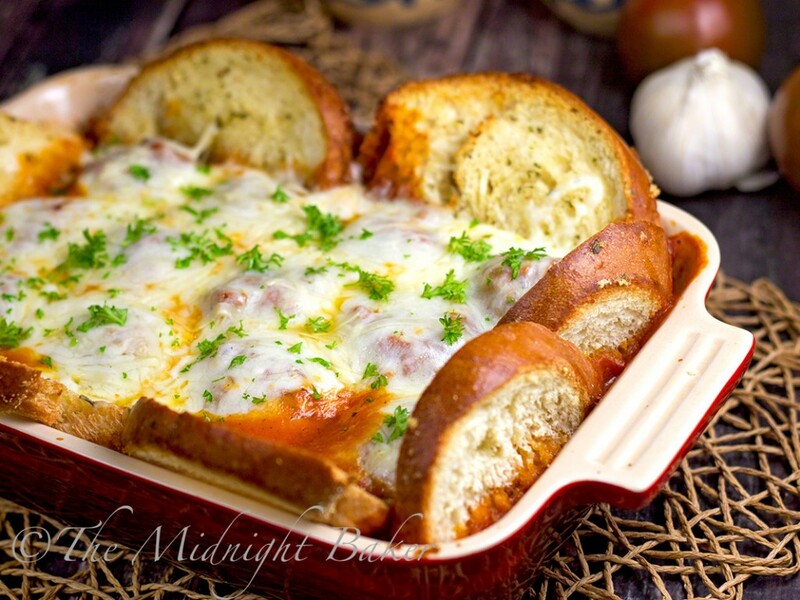 Meatball sub and garlic bread in one casserole. Add authentic Italian DOP asiago cheese–fresh and aged–and it’s a little bit of heaven. Have you guessed I love asiago cheese? 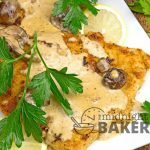 This is a big LOL since a lot of my recipes feature it–especially my ever-popular Mushroom Asiago Chicken and my new Philly-Style Mushroom Asiago Chicken Stuffed Peppers! 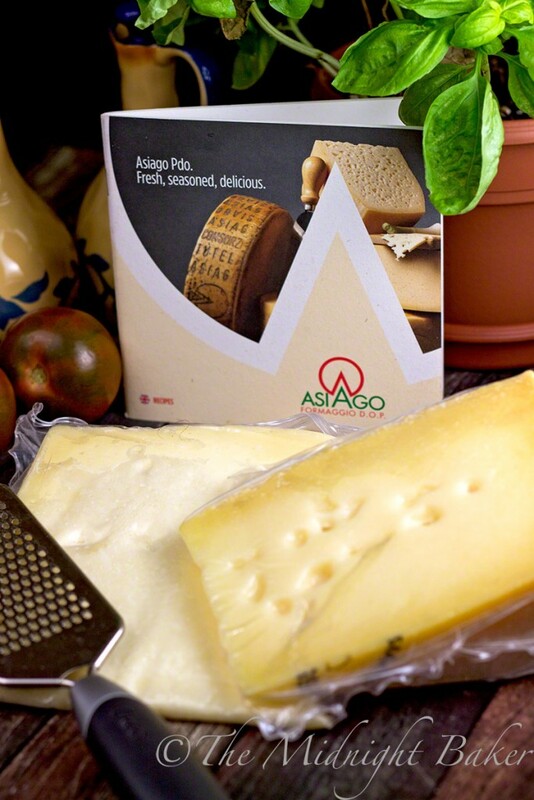 Since I show my love for this cheese quite a bit, I was contacted by the folks from the Asiago Cheese Consortium to try some genuine asiago direct from Italy. 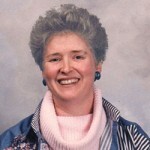 I found out something interesting–and delightful. Asiago also has a fresh version (not aged) that I was sent to try. 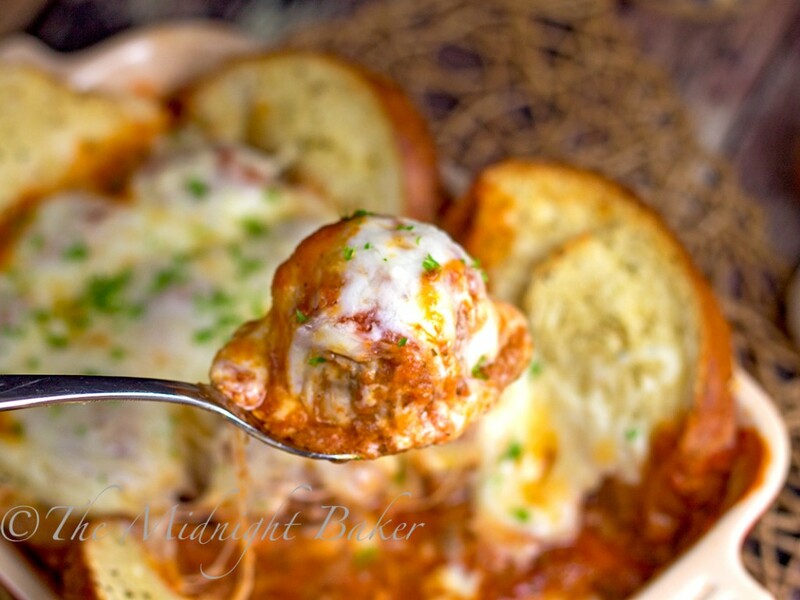 It’s a nice change of pace from the usual mozzarella–which you will see when you try my meatballs in this recipe! 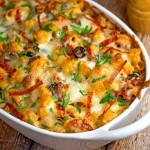 My casserole combines the fresh and the aged! The “DOP” is Italian for “Denominazione D’Origine Protetta” which in English is “Protected Destination of Origin” (PDO). This guarantees that your cheese was produced and packed in the stated region. Something like our “California Cheese” seal. Believe me, once you taste the real thing, you’ll make an effort to find where it’s sold, so here is a list of retailers in the US–Where To Buy Authentic DOP Asiago. Soften bread in just enough water or milk to dampen bread. Let the bread sit for about 5 minutes until most liquid is absorbed. Squeeze excess liquid out of bread. 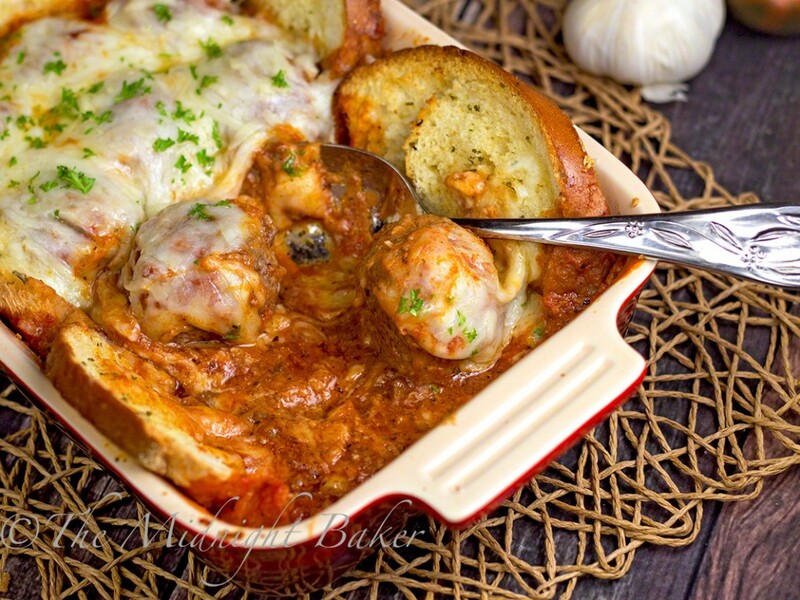 In a large bowl, combine all meatball ingredients, except the cheese cubes. 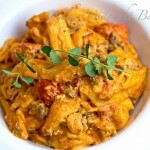 Mix this well so that the softened bread is well incorporated into the meat mixture. Separate meat into 12 more or less equal portions. 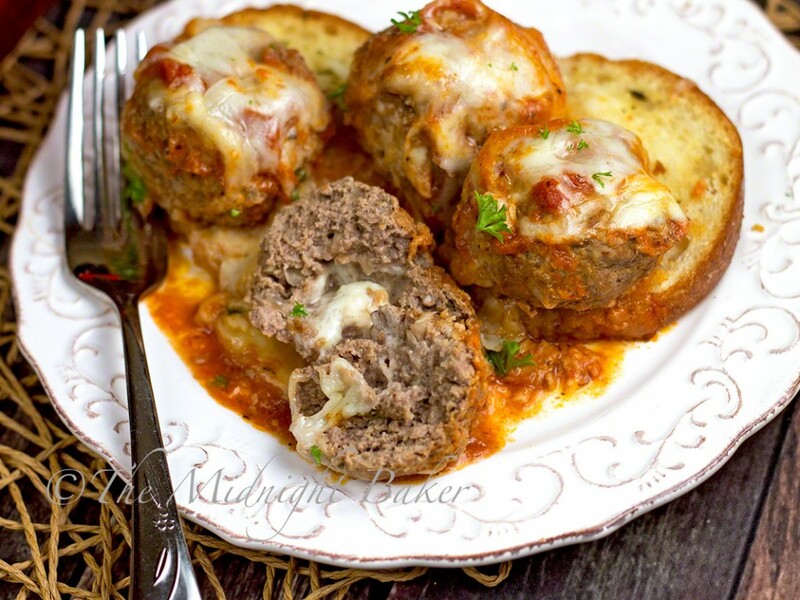 Place a cheese cube in the center of each portion of meat and form a meatball. 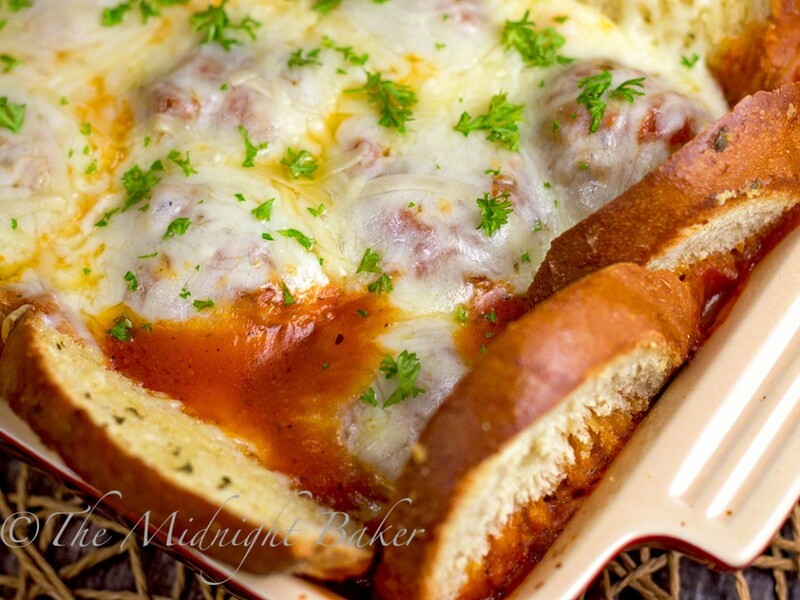 In a large skillet, brown meatballs on all sides. Remove from pan and drain. Spread about ½ cup of the spaghetti sauce in the bottom of a 11×7-inch baking dish. Place meatballs in the center of the pan. 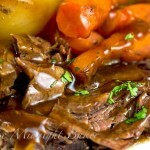 Cover with aluminum foil and bake for 20-25 minutes. Meanwhile, mix all the garlic butter ingredients in a small bowl. Cut the bread into slices from ½-1-inch thick. You will need about 10 slices (depending on the width of the bread). Spread each slice with the garlic butter; set aside. Note: you can use the remaining bread to make garlic toast in a separate pan. Just butter it with the spread and lay it on a baking sheet. Remove the meatballs from the oven and remove the foil. Place the buttered bread slices around the perimeter of the pan, keeping the meatballs in the center. Pour remaining spaghetti sauce over the meatballs and top the meatballs with the shredded cheeses. 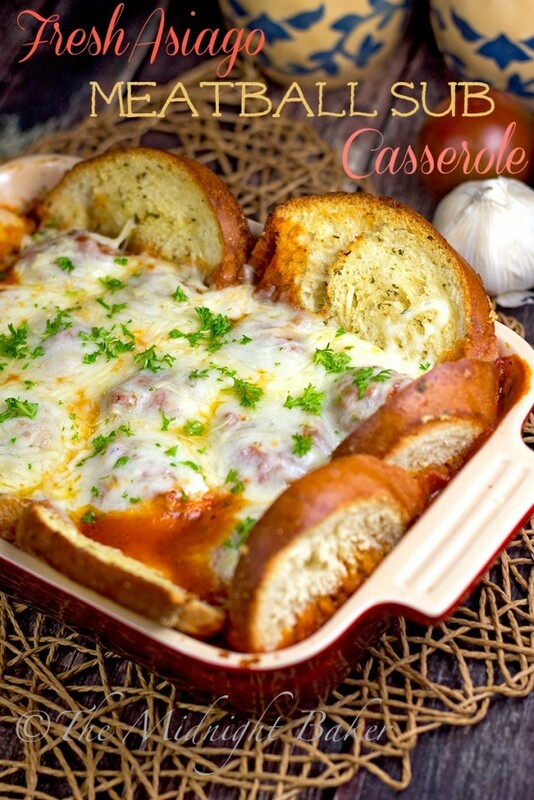 Bake uncovered at 350 degrees F for 15-20 minutes or until cheese is melted and bubbly and bread is golden brown. I used 3 slices for 1 lb of meat Marguerite. Just let it soak till it was wet then squeezed out most of the water. BTW, I left the crust–it was just plain white bread like Wonder Bread. I saw that a while later. I was out of success so I used a hoagie roll…I had to dig it out of the hamburger meat, it didn't take long tho. The meatballs turned out fantastic, the bread that goes around it tho didn't brown all the way tho so next time I'm going to cook the bread separately. Other than that I made my own homemade sauce the dish was delicious. The hoagie roll works for me too–I tend to use what I have on hand and the "seen better days" bread when I made this was just the white bread! The bread will get soggy with sauce–and I know a lot of ppl like that. I'm on the fence about that–it was OK, but I think I'd just prefer the garlic toast sans the sauce as well. Guess that's done so it all cooks in one pan. There’s only 1 tsp of salt in the entire recipe plus a 1/2 tsp that’s optional for the bread. The over saltiness may have been caused by the spaghetti sauce you choose and other factors. Fresh asiago isn’t salty either. Try low-salt cheese and low-sodium sauce that might help.